The much-anticipated release from USA Today Bestselling Author, Lani Lynn Vale, is finally here! 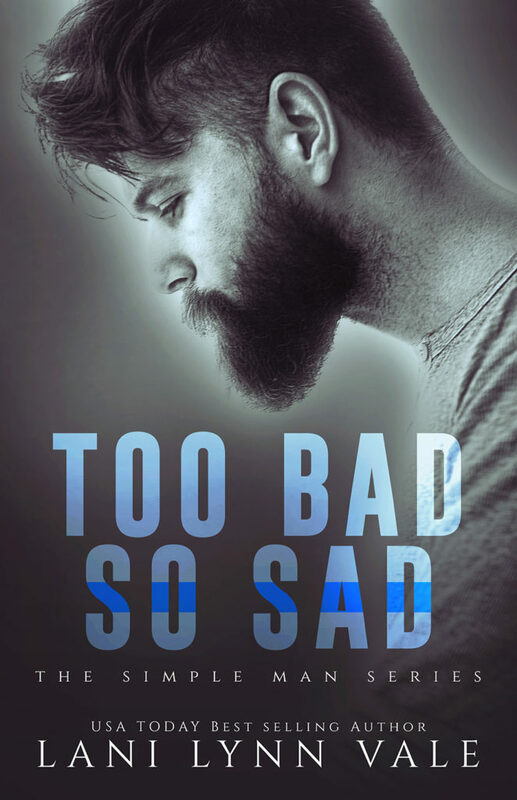 Get your copy of TOO BAD SO SAD today! 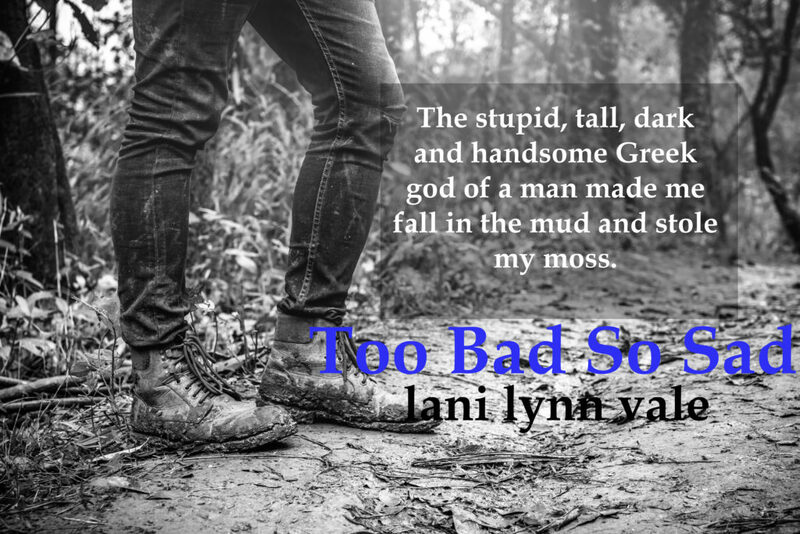 Once again I really enjoyed reading a book from the Simple Man Series by Lani Lynn Vale. She's an author you can pick up on the fly and know she's going to give you a great read. I haven't read all of this series yet and I totally need to make that happen as well as go back to some of her earlier books as they all seem to be a bit interconnected. As you can tell I have't had any trouble reading these out of order or with out reading previous series books, they can all totally be read as standalones but I really want that 'world' feel with this series so I'll be going back to the beginning of it all as soon as I can. I throughly enjoyed this storyline of this book, the little bit of suspense, but especially this couple. Their back and forth with each other had me laughing out loud a time or two and swooning even more. They are just plain sweet in a love/hate crazy sort of way. Reagan is an amazing character. She's smart, witty, beautiful, a bit of a tomboy, shy...she's lived through some pretty terrible moments to become the amazing character that she is and you just want to make her your BFF! Tyler, whoa...the hot cop of a little town in Texas is way more than I expected and in all the best ways. He is shall we say, intense in every aspect of his life, well, except for when he's battling witts with Reagan. I loved them both so hard that I don't even want to start a book boyfriend moment because there is no one else who could handle Tyler than Reagan and Regan than Tyler. They are a match meant to be and you will totally fall hard for this couple just like I did. I loved the secondary characters, seeing characters from past books and meeting new ones. I especially loved Rome who I am hoping we will see more of in the future. The story line between Rome and Tyler and then just Rome's own story is heartbreaking. I need this man to get more of the little HEA (I can't talk about it and spoil anything, but it will help dry some tears) that he got in this book. Sufficed to say I throughly enjoyed this book and am making the last of my summer days revolve around get all of Lani Lynn Vale's novels! Add this one to your TBR, or just admit that you need it in you life and go forth and one click; plus it's got Franggy on the cover so sure wouldn't hurt to have it sitting on your shelf even if you can't get to it yet, hahaha!